“13” is refreshing, because it proves that bands long past their prime can still make quality records. I was losing faith in this after Megadeth’s awful Collider came out just last week. “13″ is the first Black Sabbath album to feature bassist Geezer Butler in nineteen years, and singer Ozzy Osbourne in thirty-five. Drummer Bill Ward, originally part of the recent reunion, is not on the album because of a contract dispute, and has been replaced with Brad Wilk (Rage Against the Machine). Even with positive early reviews and three-quarters of a reunion, fans are most likely skeptical about a new album. Butler, Osbourne and guitarist Tony Iommi are 63, 64 and 65, respectively. But Sabbath brought in legendary producer Rick Rubin, who has done wonders for everyone from System of a Down to Johnny Cash. What resulted from their sessions is an album much more similar to classic, early Sabbath and not the tepid albums that came later. Black Sabbath have often been misunderstood as a band that sang/sings exclusively about doom and gloom, life and death, heaven and hell (which is the name of one of their more famous songs). But closer listens to their early albums show that they expanded far out beyond those themes, lyrically. Yes, they were embraced and continue to be (like 13′s “God Is Dead?” and “Pariah”). But the band has always sung about more than that, evident in songs like the poorly-titled “Methademic,” that deals with years of drug problems. 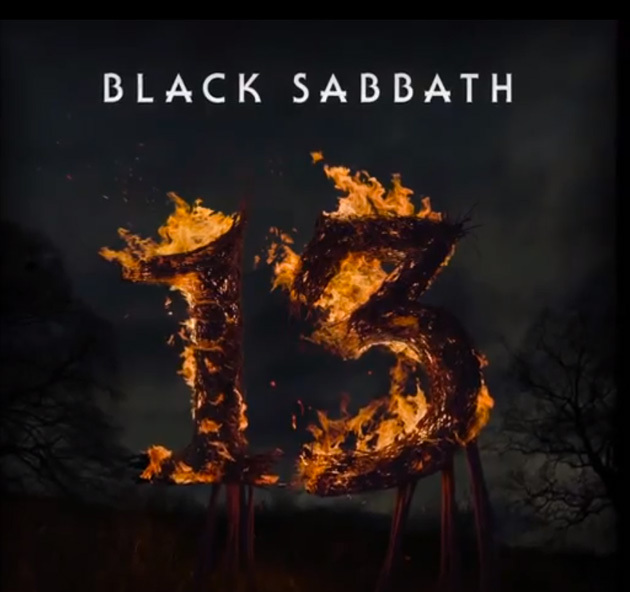 “13″ has some of the best lyrics in Sabbath’s history. The biggest surprise of the album might be the quality of Ozzy’s voice. If you’re reading this, then you can probably imagine what Ozzy’s talking voice sounded like on MTV in 2004, and maybe even what it has sounded like on his more recent albums. But those albums were Rubin-less, and Rick Rubin did his best to bring the band back to it’s seventies roots. Iommi’s riffs are there, Butler’s bass is booming, Ozzy’s voice fits nicely, and there is a constant impending sense of doom. It has all the key elements of early works like “Paranoid” and their self-titled debut. Something is lacking, however. It seems like it is a mix of energy and volume. It is certainly loud, but it feels like it should be more so, and with a little more urgency. Still, the album comes as a nice surprise and just goes to show that when the line-up is back, they haven’t lost a thing. If you like this, try: If you’re exploring this album as a classic rock fan, then Bob Dylan’s “Tempest,” another great album coming out late in the game. If you’re exploring this as a metal fan, then System of a Down’s “Toxicity,” to see both religious lyrics brought in alongside silly ones, and the magic of Rick Rubin.